This workshop hosted by HumaNature Connect in partnership with Banyule Council was about reflecting on how we work toward thriving in our projects and ways of being. The aim was to re-inspire people who are already actively working on environmental projects and those who are aspiring to do so and provide an opportunity to network. This highly successful event attracted approximately 80 people form across Banyule. Topics covered included nature and wellbeing, leadership and contributing vs doing less harm. This workshop was designed to explore the role of participant’s connection to nature in bringing them to a point of further action. This awareness serves as a compass to guide project design and ensure that it is actually contributing to the goal of restoring health and wellbeing to the natural system in the best way it can, in the area of participant’s passion. March 2018. Melbourne International Flower and Garden Show. Connecting to gardens and nature using the respectful relationship curriculum. Presented in partnerships with the Nursery and Garden Industry Victoria. 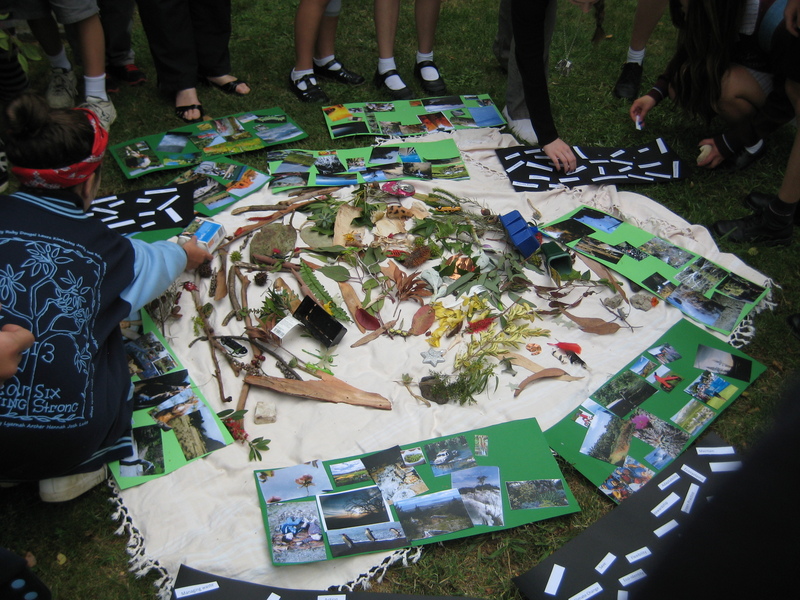 The new curriculum resource Resilience, Rights and Respectful Relationships (RRRR) has many activities that can be modified easily to focus-on or utilise nature, thus improving not just relationships with one self and others but also relationships with oneself, others and nature. This hands-on workshop focussed on adapting and trialling these activities. February 2016 and August 2016 – Enriching wellbeing through nature connection. Presented in partnerships with the Nursery and Garden Industry Victoria. This series of two workshops equiped teachers with the facts and skills required to confidently justify and design, meaningful nature-focussed activities in the school setting. What do we mean by sense of connection? Where does it fit into mainstream models of health, wellbeing and the curriculum? How do we design, sequence and make meaning of activities, in a way that will more likely lead to a sense of connection to nature and the positive benefits that flow from it? 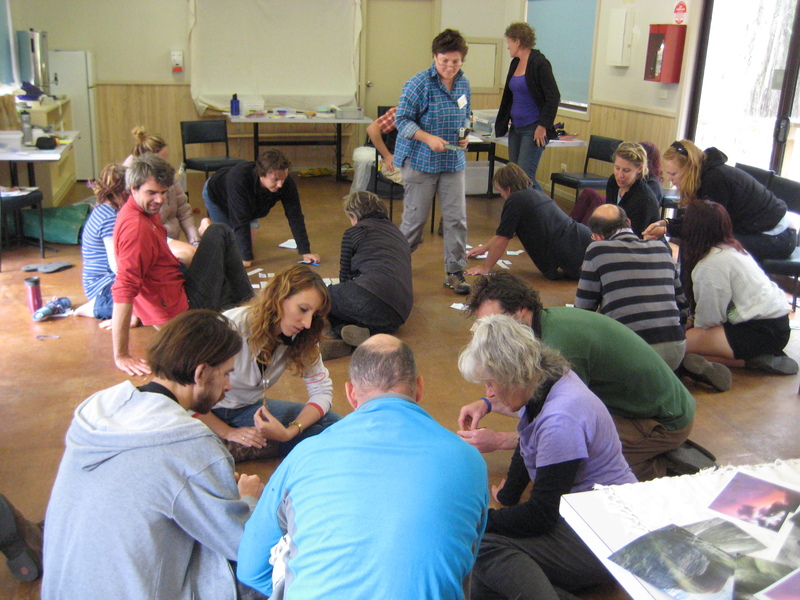 Teachers learnt how to deepen and sequence nature based activities to create the most meaningful outcome for students. National VET Training Conference (Adelaide)- Horticulture, Agriculture, Conservation and Land Management. (Guest presenter) (August 2014). Deep learning through personal experience. This hands on workshop aimed to demonstrate the value of experiential learning methodology in teaching sustainability. In particular sharing stories of personal experience as a tool for learning and creating shared understanding between people of diverse professional and personal backgrounds. National Outdoor Education Conference (ACHPER) (April 2014) –The Meaning of Sustainability: An inquiry into the meaning of sustainability to support the implementation of the Sustainability Framework of the Australian Curriculum in the context of Outdoor Education. Aus. Assoc. for Bush Adventure Therapy (March 2013): National Conference; The Meaning of Sustainability, adapted to explore the implications of nature connection and sustainability in therapeutic contexts. Bridge Road Early Learning Centre (March 2014): Sustainable Actions from Values and Passions. A creative ideas workshop to develop nature based activities for young children. ” It is a great way to stimulate the brain, thinking and having ideas. I really liked the structure of the session. Centre for Sustainability Leadership (October 2014): How do we talk about thriving? 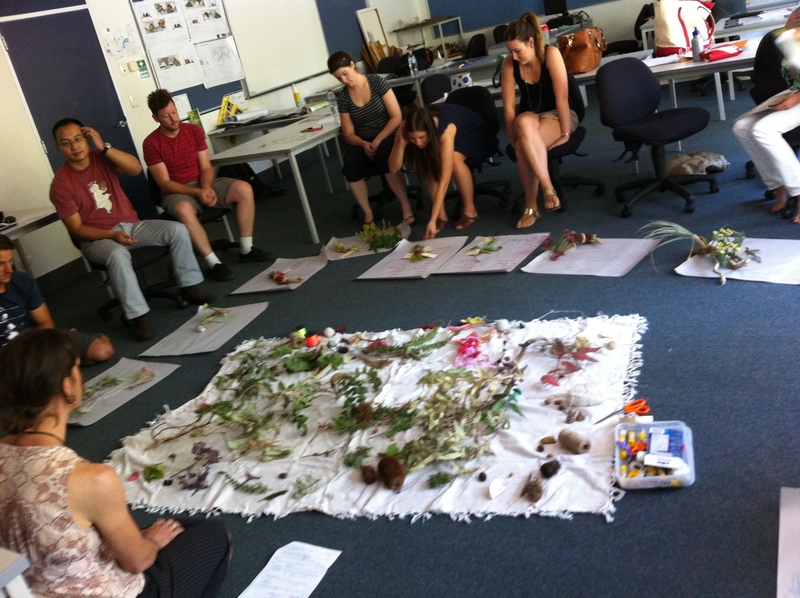 In the spirit of the Inside-Out Project, this workshop was delivered to participants of the 2014 Fellowship program to explore ways in which we can bring nature into workplaces. Inside-Out project (Nov 2014): How do we talk about thriving? This workshop brought together 20 cross-sectoral professionals in a face to face forum and approximately 20 more on social media to discuss ways in which we can deepen the conversation about environmental care in our workplaces, to include emotional and spiritual aspects of nature connection. The Wilderness Society Melbourne- (March 2015). Why I do what I do A creative inquiry into experiences with nature and values, designed to refresh and restore motivation for work in the advocacy space. Shire of Nillumbik – Panton Hill Bushland Reserves Team. Presented at the ‘On the Hill Festival’ and St Andrews Festival (May 2014 and October 2013). 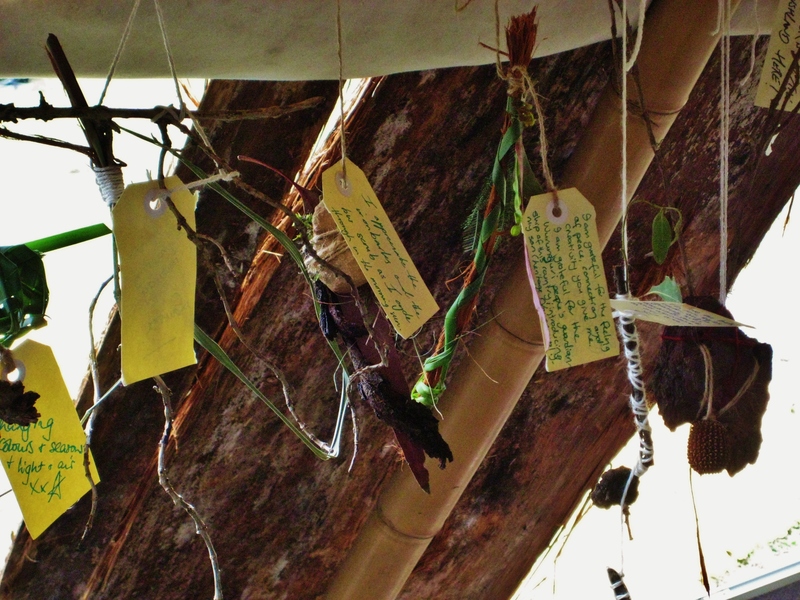 Tokens of Gratitude : A self directed, participatory workshop exploring values held about nature and the local reserves. This workshop formed part of a broader strategy to increase stewardship in the Panton Hill Bushland Reserves. “Our 6 week Exploring Art Exploring Nature group with Erica from HumaNature Connect was just brilliant. The participants had many opportunities to really see and experience the natural world around them and they used this increased awareness to guide their art making. 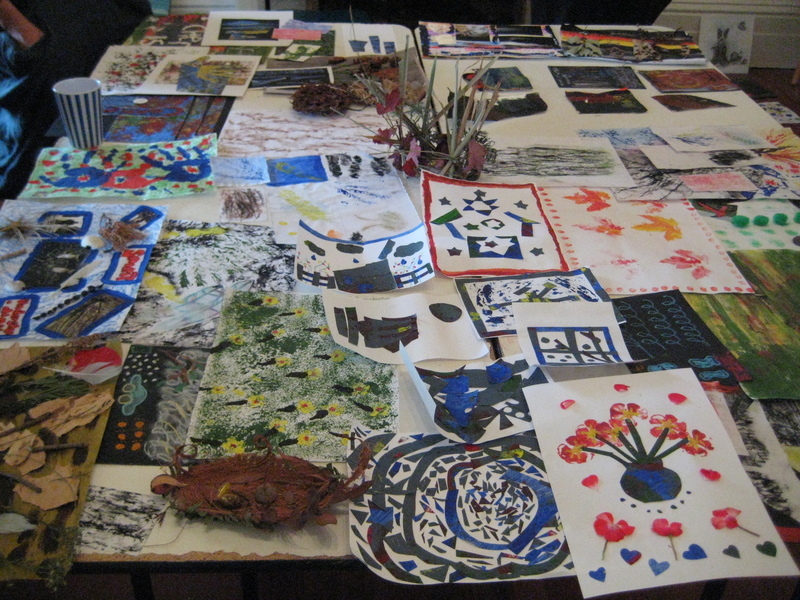 Participants described the activities as “inspiring” and “really enjoyable”. “I didn’t know what to expect really – but it was a wonderful, interesting and engaging group. So relaxing also. My impressions were that the participants really enjoyed the program and that there was a lot of guidance from you and support – particularly with art making. I found you really installed a sense that art making was for everyone and not just “artists” – which I reckon people seemed to really like. A creative ideas workshop grounded in design thinking for 1st and 2nd year students. Participants considered what a garden may mean to the end user i.e. their clients and then using creative thinking techniques brainstormed ideas that would be resonant with their values and expectations. Second year students were applying this workshop to the generation of ideas for a real project : a roof top habitat and will take the ideas right through the design cycle. The outcomes of the workshop for both groups were, for me, unexpectedly fruitful. Some students expressed to me after the session that they have realized how much they are connected to nature and the environment, some mentioning that they’ve discovered creativity in themselves for the first time. Others stated that they would like to have more of those workshops for the future. Vision 2020 for Creating Sustainable Societies (March 2013). The meaning of sustainability – a creative inquiry. Youth Symposium – (For educators and students ) This workshop was adapted for primary – secondary students to explore their values about nature and what they think is important to focus on with regard to sustainable actions.